Paul Newlove started his professional career with Featherstone Rovers before moving to Bradford Northern in the early 1980s. Whilst he was on the books of the Rovers he became the youngest ever GB international when he made his debut against New Zealand at the age of 18 years and 72 days. Saints smashed the world record in 1995 when they paid Bradford Northern £250,000 cash and part exchanged Sonny Nickle, Bernard Dwyer and Paul Loughlin to Odsal. Paul was the Saints flagship signing in their efforts to end the Wigan trophy monopoly as the Game entered the Super League era. That first Super League season seemed to be one long hot sizzling summer as Saints swept all before them to lift the Championship and Challenge Cup double for the first time in thirty years. Paul Newlove was in his pomp as he ran through, brushed off or side-stepped opponents to end the season as top try scorer with 36 tries from only 27 matches. This Paul ended the season with Challenge Cup and Championship winners’ medals. 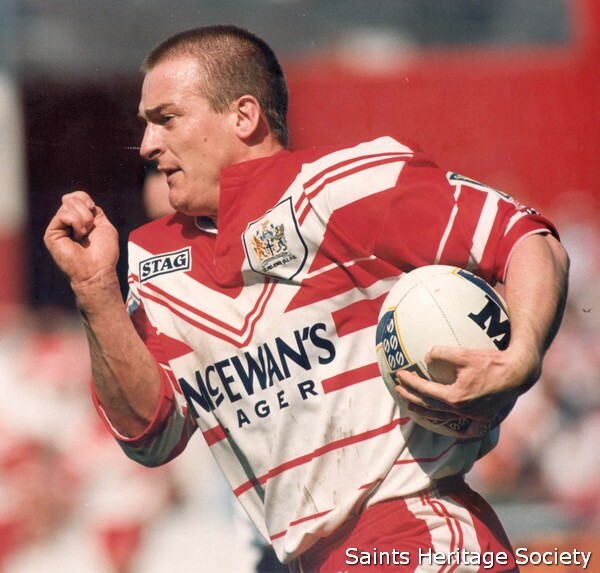 Further success followed in the 1997 as Saints defeated Bradford Bulls to lift the Challenge Cup for the second year in succession. Throughout this period Anthony Sullivan was benefiting immensely from Paul`s slick service at centre. 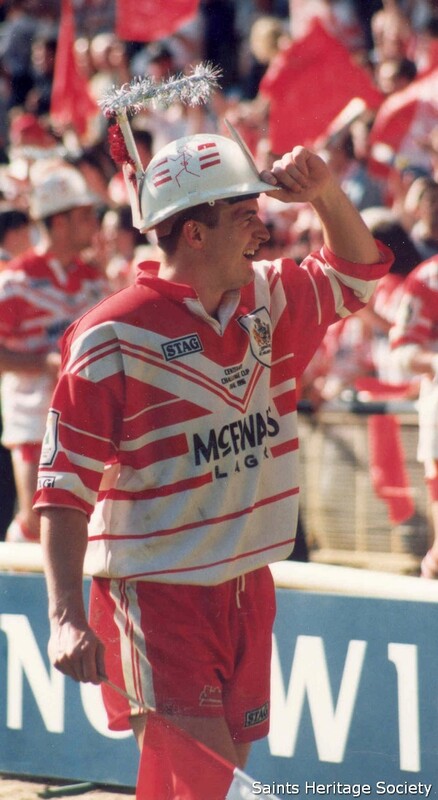 Paul collected his first winner`s ring in the 8 points to 6 defeat of Bradford in the 1999 Final at Old Trafford and then faced Brisbane Broncos in the World Club Challenge Final at the start of the 2001 season. Who will ever forget the way that Paul skinned Wendel Sailor with his trademark sidestep off the left foot to set up Chris Joynt for a try to square the match? The ultimate victory in that match duly completed Paul`s winners` medals collection. The 2001 Challenge Cup Final victory over Bradford Bulls at Twickenham had brought Paul a third Challenge Cup winner’s medal. In 2002, a third Championship winning ring was earned as Saints again dispatched a paranoid Bradford Bulls by 19 points to 18. 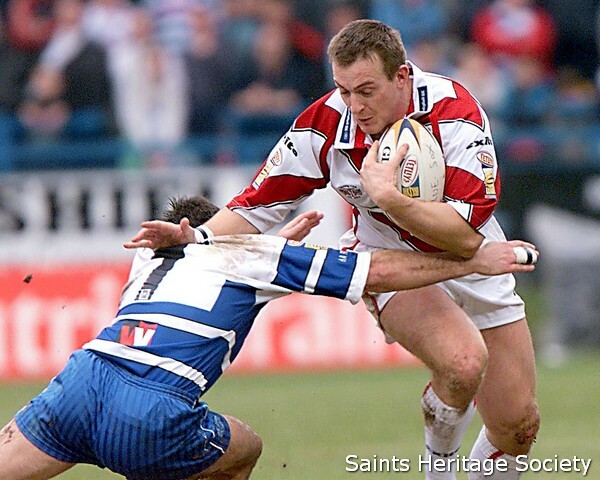 His try haul for the Saints and a very successful Great Britain career cemented his rightful place as one of the game`s best ever centres.